The right-wing extremist who murdered 77 people in 2011 is trying to set up a criminal network of fascists from his prison cell, according to Norwegian authorities. The country’s correctional services agency, Kriminalomsorgen, says it has intercepted around 220 letters written by Anders Breivik to people who he had never contacted before his imprisonment. “When we take security considerations around Breivik, it’s communication control that is most central,” Erling Fæste, the deputy director of correctional services for the southern region, told Norwegian newspaper Verdens Gang. The authorities have now put a stop to Brevik sending out mass mailings in order to stop him from building up contacts. “Breivik has no intention of tying ordinary and healthy friendships. The strategy seems to be plenty sent letter to associate as many contacts as possible,” Kriminalomsorgen said in an explanation of its decision. The right-winger has previously tried to build a political party while in prison, though he has had no success so far. Breivik openly admits he is against multiculturalism and his political views are predominantly centred around his Islamophobia. Over at the London Review of Books Adam Shatz has an interesting review of two books – A Norwegian Tragedy: Anders Behring Breivik and the Massacre on Utøya by Aage Borchgrevink, and Anders Breivik and the Rise of Islamophobia by Sindre Bangstad. Shatz places against the atrocities committed by Breivik against a background of rising Islamophobia in Norway. He concludes with some good points about how anti-Muslim bigotry has gone mainstream, justified by an appeal to the principle of free speech. A French court hit notorious Norwegian heavy metal musician Kristian Vikernes with a fine and six-month suspended prison sentence for blog postings that allegedly glorified war crimes and promoted discrimination against Jews and Muslims. Norway’s Labour and Progress parties have stated that they would consider revisiting the issue of a Muslim veil ban in the wake of a ruling by the European Court of Human Rights that a public ban does not violate the human rights of Muslim women. The European Court of Human Rights (ECHR) on Tuesday gave support to France’s claim that the statutory public prohibition of clothing which covers the face is within the framework of European human rights. “We must consider whether we should promote the proposal again, after the court in Strasbourg has now confirmed what we have constantly said: that a ban is compatible with human rights,” said Mazyar Keshvari at the Progress Party (FRP) to the VG daily. Jan Bøhler of the Labour Party (Ap) also claimed that the ruling of the court puts the Norwegian discussion about the controversial ban in a new light. “When parliament rejected such a ban in 2013, the main argument was that Norway risked being censured in the ECHR. Now that argument falls away. I think we need to take a new discussion about a possible ban,” he told VG. Ghulam Sarwar, Chairman of the Norway branch of Jamaat Ahle Sunnat, an international Muslim organisation, dismissed the threat. “I think this is just some crazies who want attention,” he told TV2. But the email was one of a several anti-Muslim actions that took place over the last week, leading Oslo Police to arrange an emergency meeting with the country’s Islamic Council on Monday. 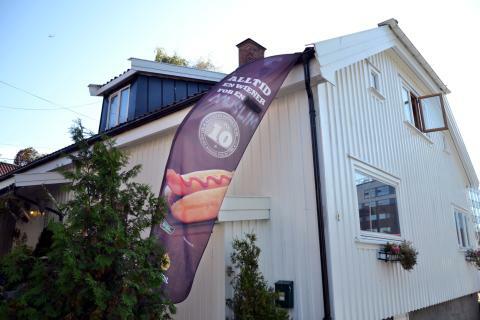 On Friday morning, before Muslims came to pray, a huge banner of a sausage was erected outside a mosque in Fredrikstad, with the inscription “Always a wiener for a Muslim” written on it. Then on Saturday, a severed pig’s head was found outside Norway’s largest mosque, Central Jamaat-e Ahl-e Sunnat, in Oslo. One of the Progress Party’s most controversial figures has warned that Norway’s immigration policy threatens to destroy the country’s culture, putting the party’s coalition negotiations under new strain. Outgoing Norwegian Prime Minister Jens Stoltenberg has challenged Siv Jensen, leader of the anti-immigration Progress Party, to publicly apologise for using the term “sneak-islamization”. “If the deputy chairperson is able to regret it in English, I assume that the party leader Siv Jensen can regret it in Norwegian,” Stoltenberg said on Tuesday after the Progress Party briefed international press on its policies. 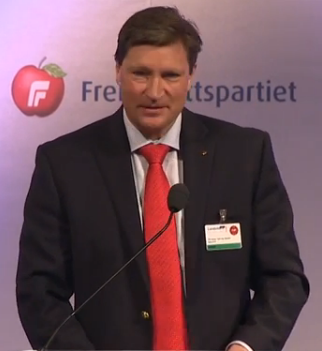 Ketil Solvik-Olsen, the party’s deputy leader, yesterday told a meeting with foreign journalists that Jensen’s claim that Norway faced the threat of “sneak-islamization” had been unfortunate. But Jensen on Tuesday evening stood by her provocative past statements. “I’m not going to apologize for that and I and the Progress Party will continue to fight the emergence of such radical forces and the ideas they advocate,” she wrote in an email to VG newspaper. Alf Gunvald Nilsen argues that the advances made in Norway’s general election by the anti-migrant Progress Party, which looks set to become a junior partner in a right-wing coalition government, shows the country has not dealt with the roots of Anders Breivik’s crimes. Britain is “giving into the claims of Sharia councils”, according to the leader of Norway’s anti-immigration party which is poised to enter government later this month. 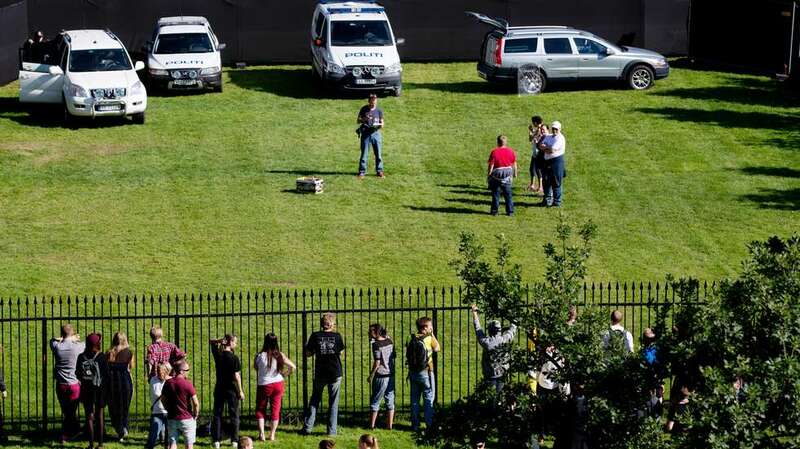 The EDL’s sister organisation the Norwegian Defence League held a demonstration at Marinen park in Trondheim yesterday, the purpose of which was (yes, you guessed) “to protest against the Islamisation of Norway”. Arve Mauseth of the NDL had told Adresseavisen that they were expecting between 30 and 50 participants, including representatives from the Swedish and Polish Defence Leagues. Alas, it would appear that the struggle against the Muslim hordes is not going well in Norway. Adresseavisen reports that only six people turned up to the NDL protest. They were confronted by 60-70 counter-demonstrators.